Participate in a doggy run (1k-5k) with your dog! The competition must be sponsored by an organized group and for a human/dog team. 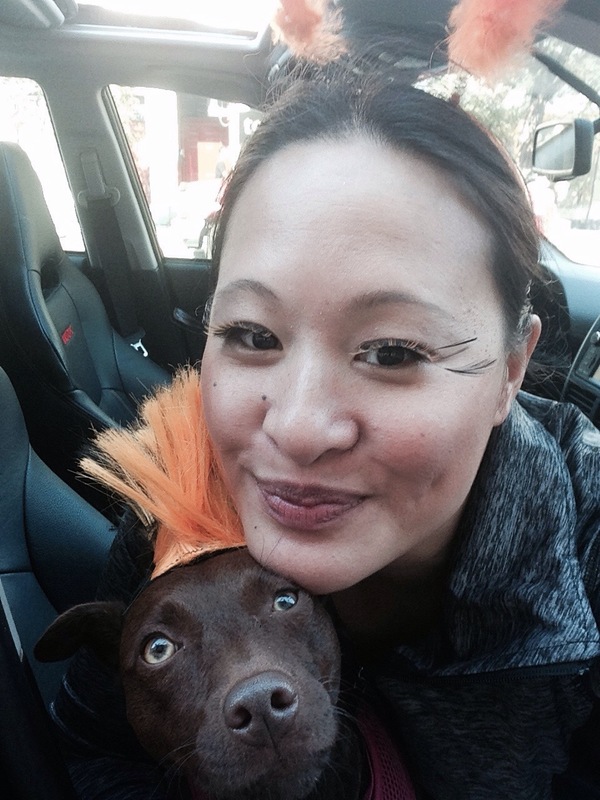 October 2014 - Carmella ran with me frequently on short weekday runs as I was training for a half-marathon. I took me some time to teach her not to cross my path while running (very dangerrous) but she loves going out with me. Our first 5k together was the Barctoberfest at Patterson Park, Baltimore. We dressed up in black tutus and orange hair (Mohawk on dog, pigtails on me) and eyelashes. Don’t we make a lovely pair? One of my favorite moments with Carmella.